Last year, I straightened my teeth using the Invisalign system. While I appreciated the aesthetic bonus and the lack of wires, I had to remove and replace the clear retainer-like trays before and after every meal. This becomes a bit of a chore when eating out, and especially when traveling. At first, I would find a bathroom to clean my hands before removing the trays, but I quickly switched to using simple hand sanitizer instead. Naturally, I searched for a good sanitizer that not only traveled well, but also was easy to use. 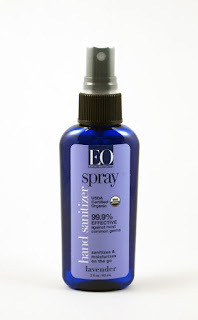 One of my top picks is EO Hand Sanitizer Spray, which comes in fun flavors such as peppermint and lavender. 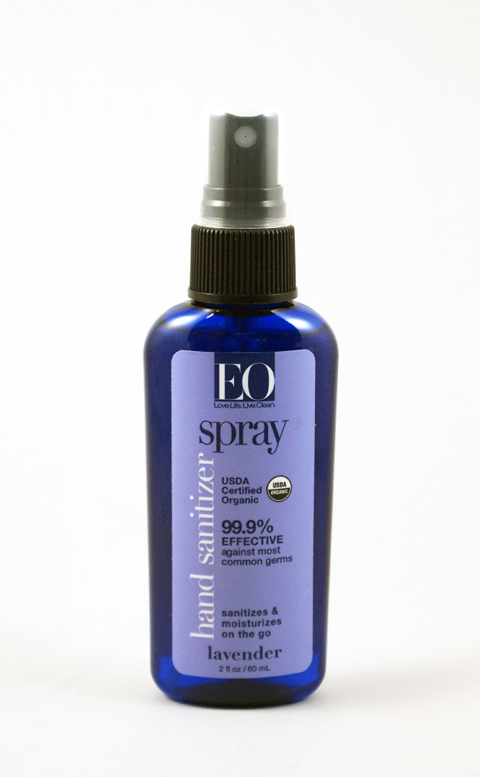 EO's Hand Sanitizers come in a variety of forms, including gels, wipes, and sprays. My Whole Foods, for example, carries the lavender wipes by the entrance to use on their shopping carts. I have used them before to clean yoga or exercise mats. I found little difference in performance between the spray and the gel forms of the hand sanitizers. However, the spray did seem to last a bit longer and was slightly easier for me to use because I wouldn't apply to much. I love how these sanitizers come in a variety of scents (and even unscented) to suit both men and women. These products and very natural; the spray rates a mere 1 on the EWG Skin Deep database, the gels a 1-2, and the wipes a 1-2 as well. They are affordable and easy to find in many natural retail stores. If you're looking for sanitizing products, EO offers many natural options that are sure to please your nose as well. Also available on Amazon.com: spray, wipes, and gels.